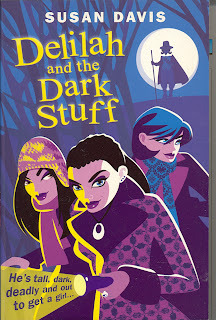 Susan Davis's three novels about teenagers Abbie and Lauren and their spooky adventures were first published in paperback and have now been reissued as e-books by Random House. Abbie, the first-person narrator, is a typical teenager - anxious, jealous, occasionally bitchy, and always horribly embarrassed by her parents. She is also fascinated by the occult and desperate to fall in love. 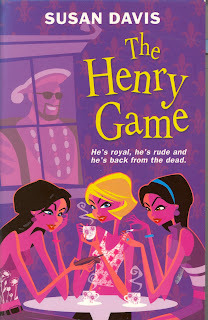 In the first book, THE HENRY GAME, Abbie, Lauren and their friend Marina use a home-made Ouija board to conjure up spirits and are haunted by the ghost of Henry VIII. Henry lusts (though not explicitly, so adult guardians need have no fears) after all the girls, but especially the lovely Marina, who falls under his spell and ends up in real danger. Meanwhile, Abbie is drawn to Marina's flashy, charming cousin, Nikos. 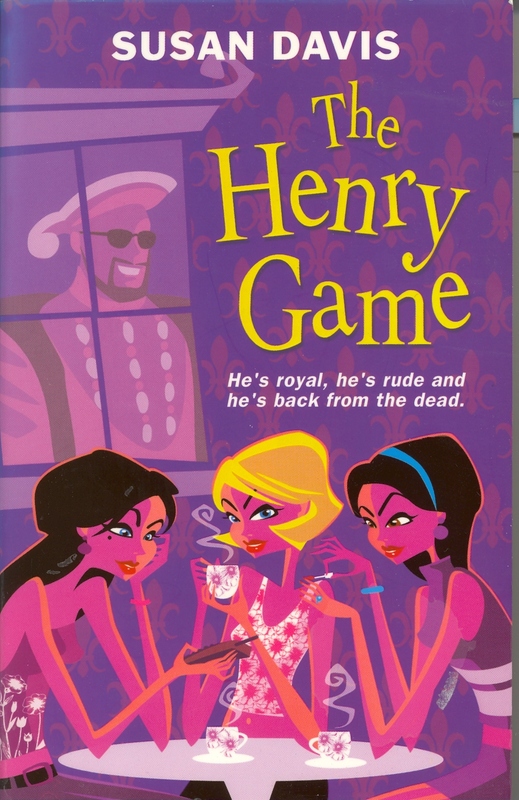 Henry is a superb creation who not only demands the girls' attention to his royal commands but will not allow any other admirers ("Master Nicolas is a foul churl," he remarks, via the Ouija board). Perfectly paced and sparkling with wit, DELILAH AND THE DARK STUFF has mystery and an engaging new character in lonely, grungy Delilah with her dreadlocks, Doc Martens and knowledge of witchcraft. Delilah's stepfather, 'the Loathsome Verne', is a manic Puritan who forces repressive energy-saving economies on his family and forbids almost all aspects of modern life. But there is also a shadowy presence stalking the girls: Matthew Hopkins, Witch-Finder General. The action moves from north London to the depths of Shropshire, where Hopkins' power increases. It's far too funny to be truly frightening, but there is gruesome historical detail of how alleged witches used to be trussed and ducked. 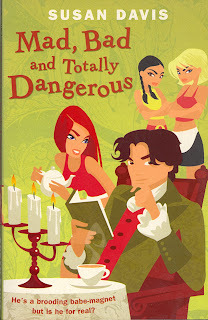 MAD, BAD AND TOTALLY DANGEROUS - the last story in the series, and possibly the most scary - involves the ghosts of Lord Byron and his unhappy mistress Claire Clairmont. Abbie and Lauren are roped in to help at the local poetry festival. Abbie has bad vibes about this right from the start, and soon both girls realize that handsome poet Ron Lord is not what he seems. But the other young helper, Ruby, refuses to believe that the man she's throwing herself at is a ghost. All three girls are drawn into a nightmarish mix of past and present - with Byron's grand house and grounds providing the perfect gothic setting for the finale. These books are clever, funny, with characters you'll care about, and just a dash of genuine creepiness. Do try them! Published as Kindles by RHCB Digital in 2011. The Henry Game ISBN: 1446453626; Delilah and the Dark Stuff ISBN: 0552547948; Mad, Bad and Totally Dangerous ISBN: 1446453669.